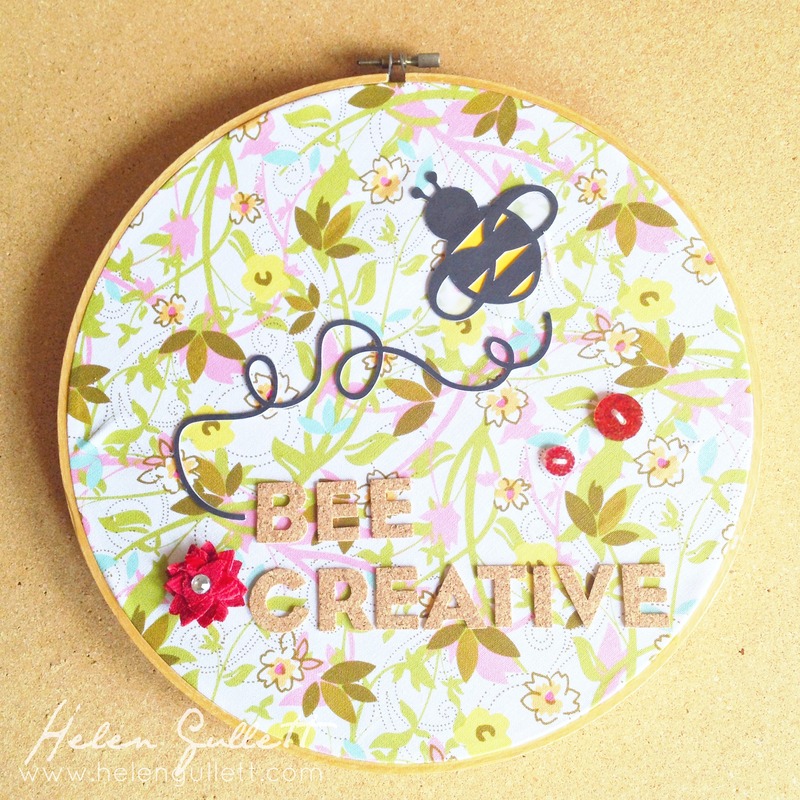 I used this 10″ Embroidery hoop at craft store and piece of fabric that big enough for the hoop. 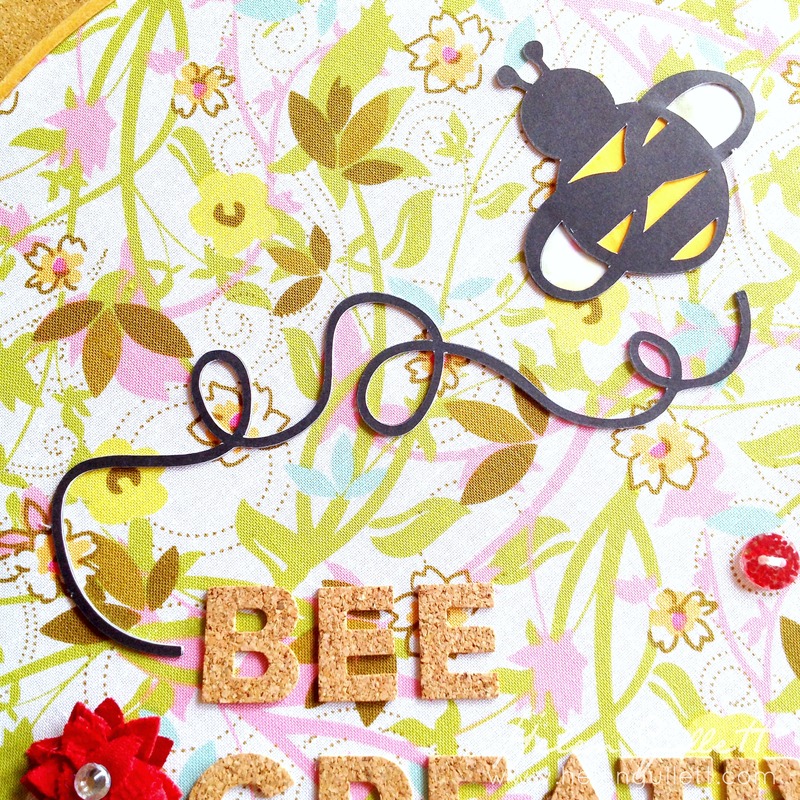 I cut the Bumblebee (#11508) using my Silhouette Cameo. Then glued each shapes together using Elmer’s Craft Bond, Fine Line glue pen. Then I glued the finished piece on the fabric using the Aleene’s Turbo Tacky Glue, all-purpose craft glue. Then I added the title using CTMH Cork Alphabets (retired) and I felt something was missing… so I added extra embellishments from Mini-Medley Accents Ruby Collection. Love the fabric flower, button, clothe pins and baker twine in this mini set! This challenge last for 2 weeks. Come and join us! I cannot wait to see your projects!